I know these photos have been making the rounds on the net, but I can’t help but to post something about it. 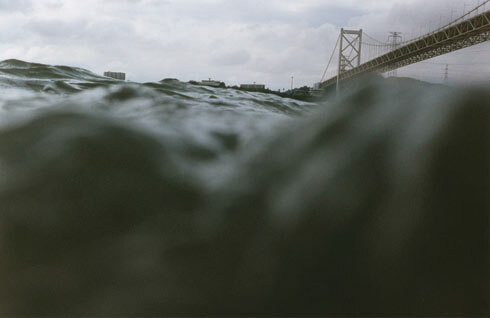 I have these recurring dreams, sometimes nightmares, of a massive wave of water overtaking my body and carrying me off. One dream, I remember so vividly. After the storm, the waters were still and the the sky was so bright and white. A pelican was frozen in mid flight. I saw every detail of his grey and white plumage and its dark shadowy eyes. It was so beautiful and scary. I think what draws me into these photographs is that same sense of beauty and foreboding and helplessness. As if she knew. More of Asako Narahashi’s half awake and half asleep series can be seen here.